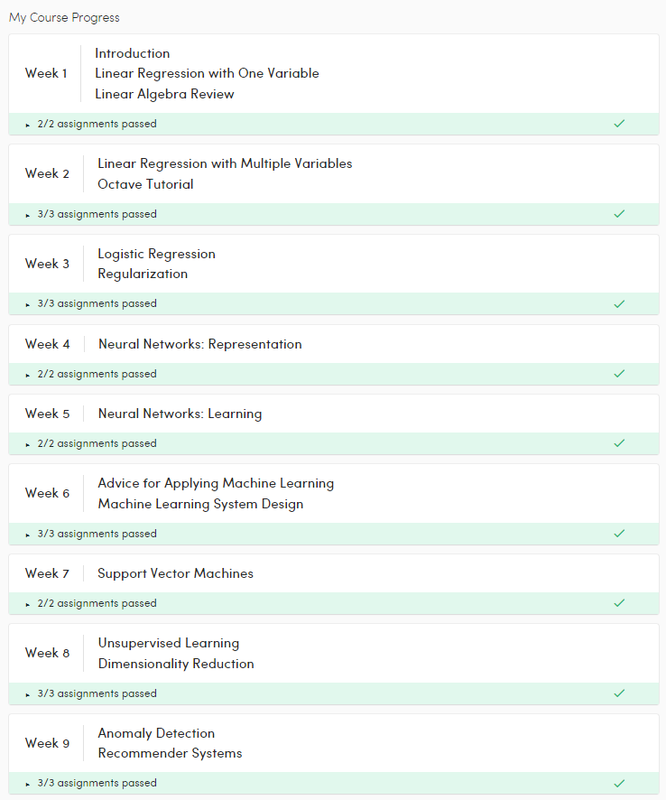 Last weekend I finished week 9 of the machine learning course. Topic this weekend: Anomaly detection and Recommender systems. Really interesting stuff!